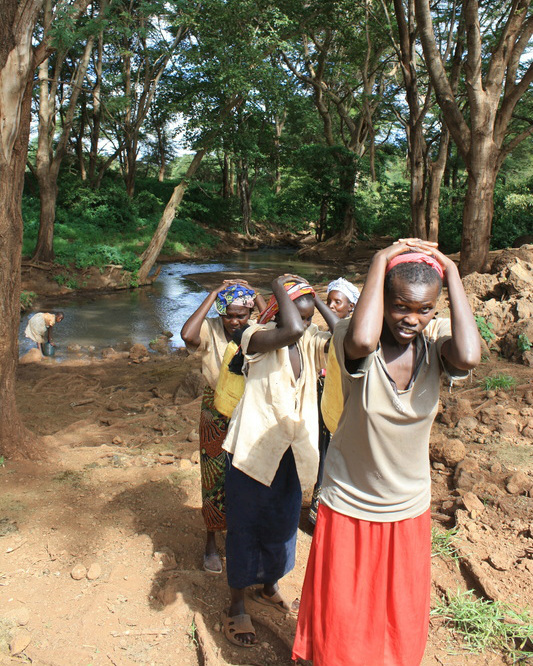 For so many living near at the southern end of Tsavo West National Park, daily life revolves around water, or the lack of it. Due to the massive problem of landlessness in this district the people living here have been denied acceptable access to this most fundamental of basic needs. 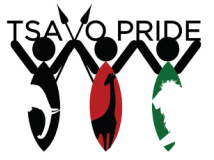 Tsavo Pride is seeking alternative and simple solutions to take some of the pressure of the women and children who end up spending most of their day's simply fetching water. This project saw us fitting of gutters and pipes to the newly constructed Kasaani Nursery school (Funded by Taveta County Council). When discussing the project with the community, they immediately saw that water harvesting would significantly reduce the water stress here during rainy seasons. While the harvesting of water is not a permanent solution to the ever present lack of water in this semi Arid area, it will definitely benefit the children attending the community managed nursery school. The community all agreed to allow us to use the tank which was donated by the Town council 12 months ago but has remained unused due to lack of a water source. All we had to do was relocate it from its original site some 100mtrs away. 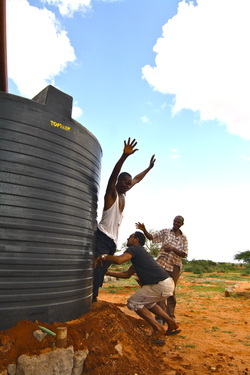 The community formed a work group to come and erect the gutters and Tsavo Pride provided lunches and Chai. The work took only 5 hours and amazingly as soon as the work was done, it started to pour down rain. By the time we had had our lunch and said our goodbyes to the community the tank was already one quarter full. The community has established a committee to manage the use of the water. It has been decided that during school terms the water will primarily be for the use of the school. During the rainy season when the tank is full, all residents of Kasaani will be able to come and take a limited amount of water, however this would be cut off when the tank becomes two thirds empty. When the kids are on Holidays the community can empty the tank though a rationing system. We hope to work with the school committee next year to help them to develop a small greenhouse so that they can generate income to cover the teachers wages and hopefully run a feeding program for the Kids. Thanks to the fundraising of Krist'l Lefevere we will be replicating this project in another 2 locations very soon!